An iconic symbol of faith. 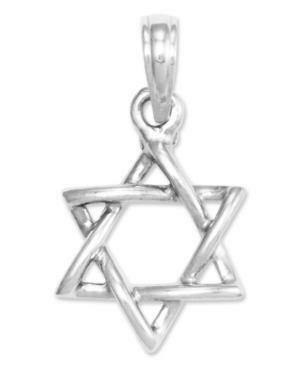 This 3D Star of David makes the perfect gift. Crafted in 14k white gold. Chain not included. Approximate length: 8/10 inch. Approximate width: 1/2 inch. "14k Gold Charm, ""born To Shop"" Shopping Bag Charm"